Emery Smith claims to have autopsied about 3,000 different types of ET humanoids. The day after we announced his coming forward, he was hit with an attack that landed him in the emergency room. Right before his health collapsed, three black SUVs followed him and abducted his dog Raven. Miraculously, Raven was found alive by a good citizen after the perpetrators dumped her off on the highway. However, immediately after the abduction, Emery developed pneumonia-like symptoms with a fever that skyrocketed up to 105. 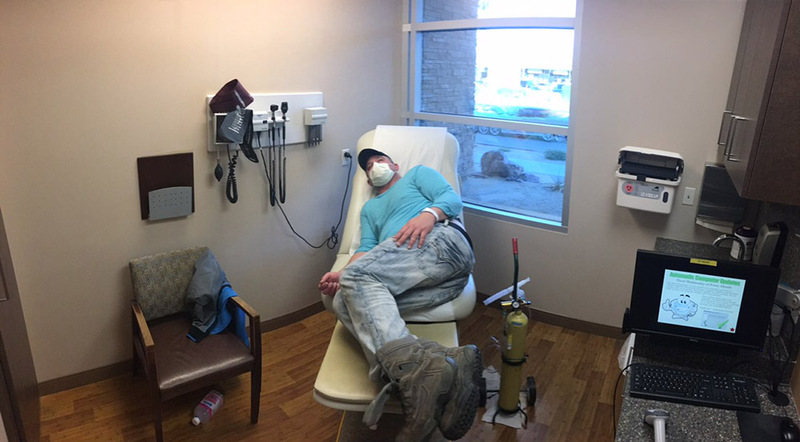 The ER in Palm Springs could not admit him until 7AM the following morning. His oxygen level went down to 90 percent, which when coupled with the enormously high fever could very easily have killed him. This all screams of "foul play." As we were finishing this article, his health slipped and he had to go back into the hospital once again. We are calling for your prayers for his health and safety. Our last article shared the story of the dog's abduction in an update, but not everyone reads updates. For Emery's security, we did not say how sick he really was, or that he was in the hospital, until he stabilized. These attacks reek of desperation on behalf of the Deep State. Why would they try to completely destroy his life if he was simply making up stories, as their paid trolls will assert? CLICK HERE FOR OUR CHRISTMAS DAY ARTICLE FOR CONTEXT: "STUNNING NEW BRIEFINGS"
When you have been lied to for so long -- in fact, born into a world where all you've ever known is lies -- it can be very difficult when the truth finally appears. It's almost like a person who has been locked in a room their whole lives, never allowed to see the outside world, finally being set free. There are plenty of movies, television shows, video games and the like that have prepared us for the type of cosmic disclosure that Emery Smith is bringing to the table. However, for most people there is still an enormous difference between enjoyable science fiction movies and the idea that this stuff is actually true. There is a level of UFO secrecy that goes far above the US military, the highest generals, even the Commander-in-Chief of the US Armed Forces. What we are calling the Deep State is in possession of far, far greater secrets than most could ever even imagine. The whole UFO-related insider world "went private" during the Eisenhower administration, from 1953 to 1961. This led to his infamous 1961 warning about the "rise of unwarranted power and influence... by the military-industrial complex." In 2013, a former CIA insider revealed Eisenhower had tasked him to threaten the folks at Area 51 that they would be invaded if they did not share their information. We called the people in from MJ-12, from Area 51 and S-4, but they told us that the government had no jurisdiction over what they were doing…. I want you and your boss to fly out there. I want you to give them a personal message…. I want you to tell them, whoever is in charge, I want you to tell them that they have this coming week to get into Washington and to report to me. And if they don’t, I’m going to get the First Army from Colorado. we are going to go over and take the base over. In response to Dolan’s question, “Eisenhower was going to invade Area 51?” the CIA agent confirmed that Eisenhower indeed planned to do so with the First Army. After traveling to Area 51 and S-4, the CIA agent said that he saw several garage type doors with flying saucers in them. He described seeing a Gray alien at the S-4 facility that his boss “partially interviewed”. Upon returning to the White House, the agent and his boss relayed what they had seen at S-4. Significantly, the FBI Director, J. Edgar Hoover, was also present during the debriefing of the CIA agent and his boss over what they had witnessed at S-4 and Area-51. According to the CIA agent, Eisenhower was shocked. What we are seeing is that even the President of the United States was only given a little taste of what was going on at Area 51, even after threatening them. If the military-industrial complex (MIC) had access to a live ET, and various ET technologies, they obviously would be able to make contact with other ETs. From there, it isn't hard to imagine that those ETs would have friends, and would ultimately introduce us to a much larger community. Once 'we' entered into that community, there could be all sorts of rewards, including hyper-advanced technology they would teach us how to build. Multiple insiders have said we are uniquely good at integrating technology from many different sources, where the result is greater than the sum of its parts. Thus, a huge discrepancy began occurring in the 1950s, where technology that is still superior to what we have today was being developed covertly. This included "smart-glass pads" that are made of a fully clear, see-through material and superior to the Ipad -- including holographic displays. Where Emery worked at Sandia Labs, they simply called it a "folder," perhaps as a way of "reducing psychological impact." Once you hear him speak (and the full-length first episode will be made free online in January,) it's hard not to be convinced that he is the "real deal." HOW WOULD 'WE' BE PAID? If 'we' (in the MIC) went into the manufacturing business with all the cool stuff that we learned, various ETs would need to start "paying" us for our products. There is no money exchange in this greater cosmic society. No one is going to accept your worthless pieces of paper just because you say they have value. Instead, we see a barter system. You trade one item of value for another that is also seen to have value. Some groups might have much easier access to certain commodities than others, for various reasons -- including the places they go and the things they do. Apparently, one of the key forms of payment 'we' have been receiving for many years now is samples of dead bodies from ETs all over the galaxy. This was seen as very valuable.... for obvious reasons. Only then would we really be able to figure out "who's who in the zoo", and have some idea of the vulnerabilities of potentially hostile races. Emery appears to be one of potentially thousands of covert military employees who autopsied bodies that were being given to us as "payment".... by our "friends." You can see how someone like Emery complicates the idea of a neat, tidy, "partial disclosure" that rolls out over the next 50 to 100 years. The multiple, brazen attempts on his life would not be happening if he had nothing to say. Even the Tom DeLonge "soft disclosure" we covered in the previous article included the idea that some deeper force was working to prevent this information from ever being distributed. If our own elected officials have no access to such potentially significant programs, going all the way back to Eisenhower, we have a very serious problem on our hands. After Eisenhower was JFK. Many insiders, documents and reports suggest Kennedy got some info on UFOs, but not very much. We also have heard from multiple sources that Marilyn Monroe was assassinated after calling a friend to organize a press conference where she would tell the world the UFO info she heard from JFK. In May 2017, the UK Express covered this story with film clips from Michael Mazzola and Dr. Steven Greer's film Unacknowledged. It is very difficult to imagine how far 'we' might already have gone with the full cooperation and technology of multiple ET races, all kept in secret. A surprising number of insiders have surfaced to shed light on this amazing story... but for most people it still seems hard to accept. Nonetheless, someone like Emery Smith has the potential to create a revolutionary wave of disclosure -- particularly now that the Tom DeLonge phase is fully operational. Some people end up finding their way into this classified world by starting out in the military, and then getting pulled into privatized defense-contractor programs -- like Emery. They are sworn to secrecy, upon pain of death, and usually have no idea that the highest military officials in the nation -- even the Joint Chiefs of Staff -- may be completely unaware of their activities. I have known Emery Smith since 2008. I kept his identity so secret that I didn't even give him the pseudonym of Paul until very recently. When people would say "David Has No Evidence," or "No Other Insiders Have Corroborating Testimony," I held my tongue -- for Emery's own safety. Emery did appear openly at many CSETI gatherings where CE-5 contact protocols were being used to call in potential UFO sightings. He also appears in the movie SIRIUS as one of the speakers, as do I... but no one was aware of how much he really knew, including his friends and family. The things he has told me over the last ten years may seem quite sensational, but they line up precisely with what we end up hearing from many other insiders. By the time Corey Goode started talking in late 2014, I already had seven years to meditate on the implications of what Emery and many other insiders had already shared with me. Emery never wanted to come forward about any of his black-ops experiences. He had no intention to ever do so. There were threats and attempts on his life since I started anonymously leaking some of his intel, as well as the complete loss of all his worldly possessions. This is exactly what happened to Pete Peterson after coming forward on Cosmic Disclosure with much more controversial information. Every last thing Pete owned was stolen. On August 14th, 2017, I wrote David Wilcock's Brakes Sabotaged: Was It the Dark Alliance?, which featured some of Emery's intel. Very soon after this was released, Emery's home in New Mexico was broken into, and everything was stolen or otherwise destroyed. This included large crystals that had been completely smashed to worthless powder on the ground. Evidence was planted to make it all look like the work of drug addicts. 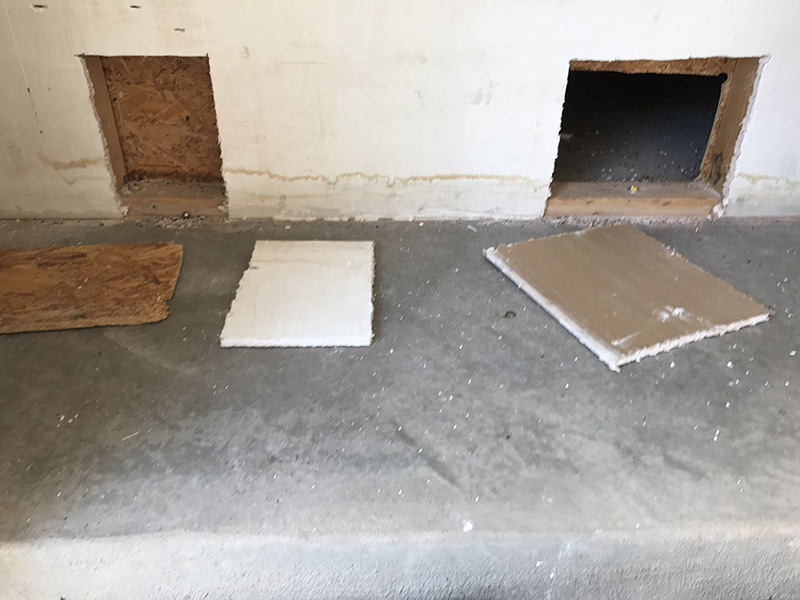 When Emery went to see the damage, all that was left was a box with some of his military badges in it, with an armor-piercing bullet next to it, left standing upright on the counter. The police were so intimidated by all of this that they refused to even go inside and investigate. I was very reluctant to publicize this at the time. Nothing about this incident appeared on this website until October 22nd, 2017, two months and one week later. WHY DID WE POST SOMETHING ON OCTOBER 22ND? The October 22nd article was entitled Something Big is Coming, Part II: Is Wikileaks About to Drop the Nuke?, and it was very extensive in scope. Some of "Paul's" intel was mentioned. In this case, I profiled his testimony on "smart suits," which as it turns out are very advanced. I mentioned films like Spider Man: Homecoming, in which the Tony Stark character gives Peter Parker a similar suit as he himself was using as Ironman. Emery has had the opportunity to try out these smart suits, and they are quite spectacular, including giving you the ability to jump up to 30 feet high. The article also revealed much more of the Alliance operations against the Deep State, which the adversary is very grumpy about. 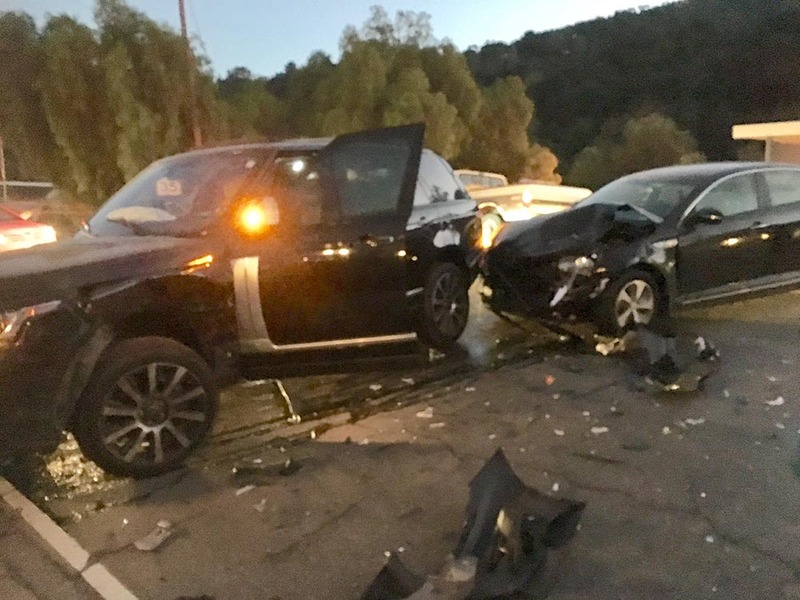 Only a half-hour after this intel was posted, Emery suffered a head-on collision while driving his SUV in Topanga, California. The timing was very, very suspicious... to say the least. This definitely appeared to be intended to take him out, as well as to threaten both of us in the hopes of using fear to prevent us from talking any further. I just got done having a text exchange with my insider, Paul. I am still in shock but feel it is essential to report what happened. Just 30 minutes after this article went up last night, at 6:30 PM, Paul was struck unexpectedly in his vehicle... and suffered a head-on collision. The driver had wildly veered over into the oncoming lane right before the impact. Thankfully, he survived with only concussions and whiplash. His vehicle, however, was completely totaled. This is a guy who has already lost everything, just like Pete. The last worldly possession he still owned was the vehicle. 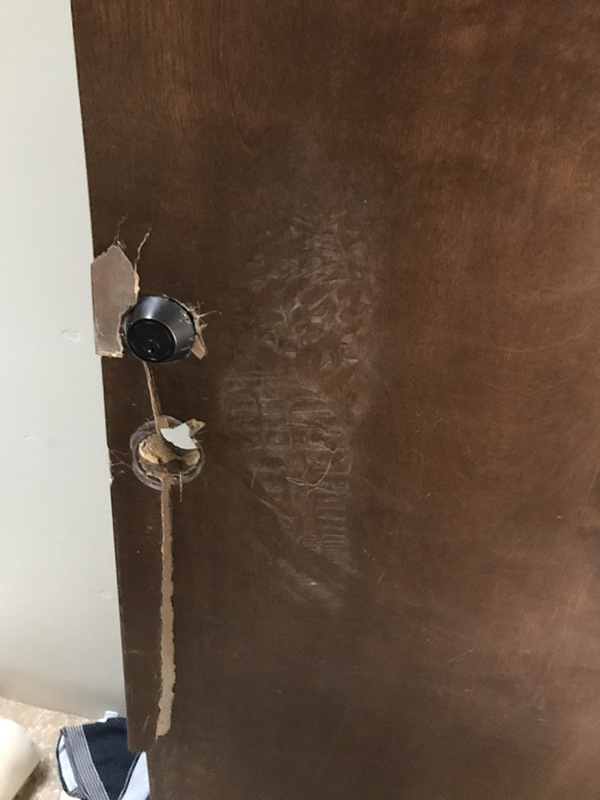 After I leaked his intel in David Wilcock's Brakes Sabotaged: Was It the Dark Alliance?, his house was burglarized to the bare walls. He was the one who had leaked the intel to me about the "smart suits," which I debuted here last night at 6PM. The timing, particularly in light of everything else that has been going on the last few months, is extremely suspect. 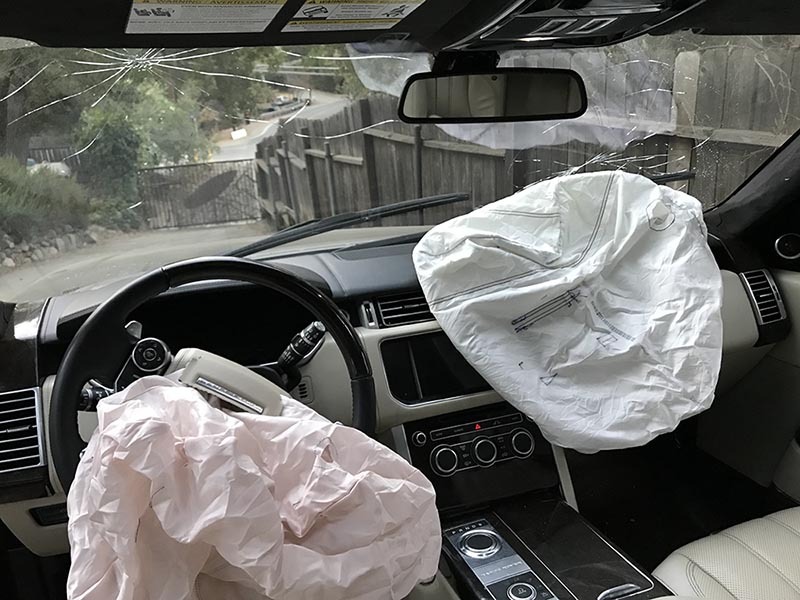 As with the complete theft of everything in his house, I have asked him to document the vehicle damage with photos and video for later publication. This may have been an example of vehicle hacking being used to steer another car into hitting his car. It is totally crazy. So let's talk about how all of these things may be related. In response to some scornful comments we received, I am NOT saying these accidents are because of me. What I AM saying is that the Cabal is on the verge of a mass, public exposure. I am one of the people covering that story with intel most others don't have. The reason this and the previous articles have been so lengthy is that the data will be scrutinized far more in the future if this comes to pass. The case is very complex. The Alliance will make its moves regardless of whether I am involved in any of this or not. Their plan does NOT revolve around me or my work. That being said, I did have my life threatened. Corey's life was threatened. Pete's life was threatened. Paul's life was threatened. Tompkins actually died. The brakes did go out on my car. Now Paul has just had a head-on collision. It is a miracle that he wasn't injured more greatly. It was a big, bulky SUV. I had been telegraphing for three days via electronic communication that I was writing "the big one" -- i.e. this article. Therefore, I have theorized that the Cabal is trying to "clean it up" before either being exposed or attempting a Partial Disclosure. The Partial Disclosure could involve UFOs and / or ancient ruins in Antarctica. Any scholars or insiders who could credibly and intelligently counter these plans would become a threat. Certain individuals could throw off the narrative the Cabal is trying to spin more than others. We are simply some of those people. Tompkins' testimony is of almost singular importance in establishing the origins of the Secret Space Program during WWII for the US, as one example. Many others are undoubtedly facing similar threats at this time. On November 12th, 2017, I wrote Something Very Big, Part III: Saudi Mass Arrests Sign of Impending Cabal Defeat?,which was chock-full of very exciting intel about pending indictments and arrests. 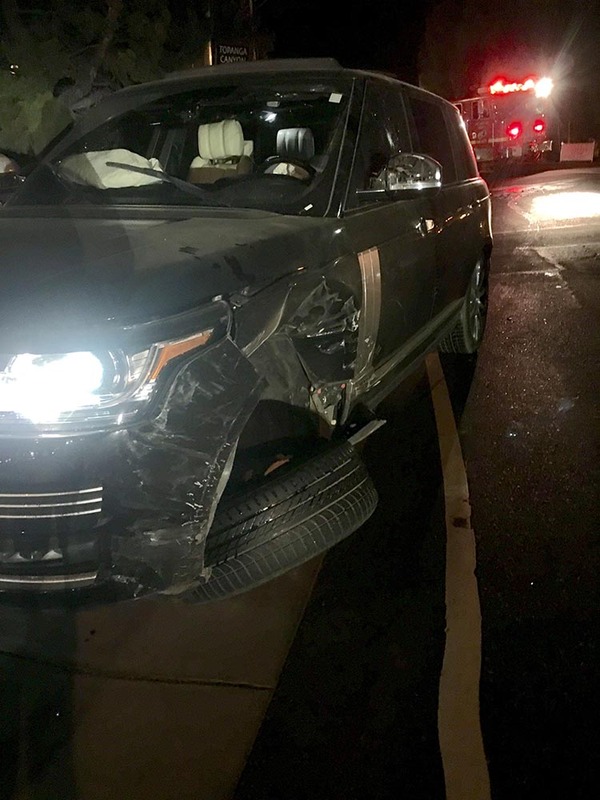 At the beginning of this article, I shared more of what had happened to Emery, including the head-on collision that occurred only a half-hour after the previous article went up. This was the first time that I actually posted pictures of the crash, further proving that it did really happen. What I did not say at the time this was written was that Emery and I were already at Gaia HQ, in Colorado, taping his testimony in episode-length installments. I knew we were running a very dangerous game here. It was vitally essential that we preserve his knowledge and experience in case something happened. We had a lot of fun with it and managed to produce fifteen very hard-hitting episodes. As I have said before, I had many great surprises during this process, since he shared much more on camera than he had ever told me before. I remember in the past being frustrated when I would ask about certain things and know he was holding back, for whatever reason. In this case we made sure not to do anything stupid, as in anything that would jeopardize national security. We were also extremely thorough. I did not want to say a single word about what we had done until at least one episode had already aired. Why? Simply put, although I didn't like thinking this way, I was well aware that Emery might be attacked once again. It is possible that various assets in the Dark Alliance were unaware of the "soft launch" of Emery's testimony on Cosmic Disclosure until I wrote about it. If they were watching his finances through covert means publicized by Edward Snowden, then they knew he had gotten very close to absolute zero. Gaia has offered him some assistance, but this is a grassroots company that pays everyone equally and cannot throw large amounts of money around. Furthermore, everything business-related gets delayed around the holidays, making it even tougher. One thing we've learned about the Dark Alliance / Deep State is they get really, really pissed off when they are trying to destroy someone and we then rise to their aid. They obviously felt they were very close to destroying Emery. Then when you rose up to defend him and keep him from going "over the cliff," they were obviously furious. On Christmas Day, you began saving Emery's life by sending him donations. On the day after Christmas, the Deep State attempted to kill him. Emery was extremely distraught, as expressed in other personal texts I will refrain from sharing. His health was also very bad, with what he believed was pneumonia. This could have been the result of how rough things got before we bailed him out, coupled with lack of sleep and massive stress. For some time we didn't hear very much. I was just encouraging him to get to a safe place and make sure to hydrate. I was very sorry about the dog. I could only imagine what might have happened, and my thoughts were pretty dark, I must say. This was very obviously a Dark Alliance targeted attack, not just three random black SUVs who happened to follow him and want to abduct his dog. The whole thing was just crazy. "Someone" obviously ordered this attack. That same "someone" is clearly trying to intimidate us into not speaking about the Secret Space Program. This is an act of total desperation. If the Deep State were smart, they would totally avoid targeting someone like this after they came out. By doing this attack, they are absolutely, 100 percent signaling that Emery is telling the truth, the whole truth and nothing but the truth. That means that some aspect of the Deep State already has a program where even one employee, in only 3-4 years of time, can personally autopsy 3000 different ET bodies. Based on the number of operating rooms and floors in this one base alone, there are probably THOUSANDS of other employees doing the exact same job. Again, Emery has no "smoking gun" that can absolutely prove everything Corey is saying is true. He has seen live ETs in person as well, at various times, including tall humanoid reptilian types. So there are many, many validations. Part of why Corey made sense to me was that I had heard Emery's stories long before we ever spoke. Now you are getting this for the first time. Please send your prayers and support to Emery in this difficult time. "They" are trying to punish him for coming forward, and it only further proves he is for real. The story had an unexpected twist, well after I first heard the news. Emery is already plugged into Alliance networks. We have recovered Raven who was thrown out of an SUV on the highway. An angelic woman took her to Pet Smart to buy her water and snacks and posted on Facebook ASAP, which my colleagues immediately zeroed in on and contacted her! The search and abduction was over in 90 minutes without me calling in the satellites! We are very, very grateful that Emery's dog Raven was not killed, and that he was able to get the dog back. The adversary very likely did not count on anything like this happening. I have asked Emery to get as much documented evidence about this as possible, so fake Dark Alliance trolls won't accuse him of making this up. It was similarly irrefutable for him to take pictures of his car after he suffered a head-on collision. Just so we are clear. This is all very real. Anyone accusing him of making this up is acting like a psychopath and should be shunned. I recommended documenting any tissue damage to the dog, photos of the Facebook post with the name scrubbed, et cetera. Since Emery already gave us the initial bulk of all of his coolest stories in the course of 15 episodes, I am not sure why this was done. Granted, we can go into a lot more detail, and we plan to. This kind of a move, however, just reeks of desperation. The Deep State obviously wants to make other insiders afraid to come forward. They don't even care at this point. It's just wild and chaotic. With that being said, we will not let Emery's life be in vain. This only further motivates us to do whatever we can to get the truth out. This is a very real battle, with very high stakes. So please consider giving financial assistance to Emery if you have not already done so. He became very despondent from this, as expected. He is only human, as are we all. The Cabal folks seem very angry and jealous right now. If we can step away from the immediate shock, horror and crisis of this, we can be grateful that he got his dog back, relatively unscathed. This also is a very significant event in the history of disclosure. Acts of terror like this reek of total desperation. It can come back around on them in very unexpected ways. From a spiritual perspective, attacks against Emery like this (or anyone else) also authorize the "good guys" to do much more to quicken the Deep State's downfall. After coming back from breakfast and checking on this with a single click, there was another repeating-digit pattern -- this time 555. I asked Emery and his associates to provide proof of where the dog's discovery was announced on social media. I obviously do believe him, but in today's sad world of paid Dark Alliance trolls, who viciously attack everything, some degree of proof is useful. This is the first level of what came in. Much more documentation will follow. We will probably write a separate update about these events. Please devote some time to praying and / or sending positive, loving thoughts to Emery right now, as he is in very poor health. Thanks. Many things were left out of this update for Emery's own safety. It was a combined operation. What happened to the dog was only a part of it. Simply put, he was already in the emergency room by the time I posted the proof of his dog's abduction. He thought he had pneumonia. It turned out to be a very, very severe case of influenza, with a fever that skyrocketed all the way up to 105. Bear in mind that this is only 2.6 degrees below the temperature where permanent brain damage or death can result -- 107.6 degrees Fahrenheit. 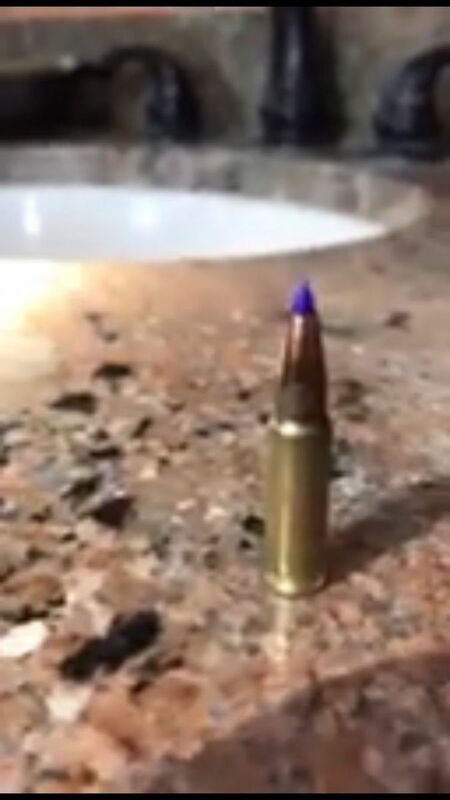 We are not sure exactly how Emery suddenly became so violently ill.
One possibility, based on things Pete Peterson had told me, is that Emery was shot with an "ice dart" by one of the SUVs that went by, before grabbing his dog. This might not feel like more than a bug bite, but it could easily be loaded with viruses or pathogens that could make you develop a sudden, huge fever. Whoever did this may have 'hoped' that the added shock of having his dog stolen could further weaken his health and cause him to actually die. The sad part is that even with all of this said, there are people who will deny, deny, deny that any of this actually happened. Some, if not many of them will be paid Deep State trolls, who are probably told horrible lies about us to make them feel good about what they are doing. For this same reason I told Emery that he needed to document his visit to the emergency room with as much photographic evidence as possible. Too many people think this is all a game, just something to read about if it can hold their interest for a few minutes. "They just made this all up. It's all about Ego and Money." This is the same thing I've heard for the entire 22 years I've been doing this. It never stops. If Emery had a "big ego," why did he absolutely refuse to come forward for ten years until he was threatened with imminent death? No level of proof will stop the "paid trolls" from making such accusations, but my goal here is to reach the real people who might still be on the fence. 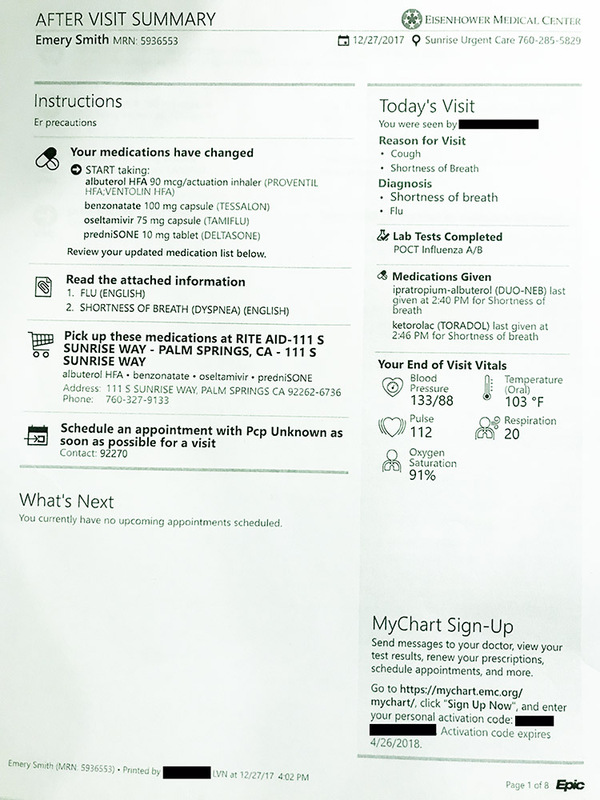 With that being said, here is some of the documentation we gathered from Emery's visit to the Eisenhower Medical Center in Palm Springs. In case anyone tries to question this aspect of the story, Eisenhower was the best emergency care he could find for the area. As I said before, they were already at full capacity the night this happened, and wouldn't admit him for seven more hours. He ended up going back to a hotel to sleep, and returning after waking up around noon the next day -- still very violently ill. I was deeply concerned about all of this, but until he got healthier I did not want to tip off the adversary with any news that he was this unstable. At one point the medical staff considered moving him to a more sophisticated hospital, but they were worried that if they moved him, he would die. Literally. I also said it was important to get documentation on his symptoms and treatment. This is a close-up showing he had a temperature of 103 at the time this was taken. At other times it had gone up to 105. 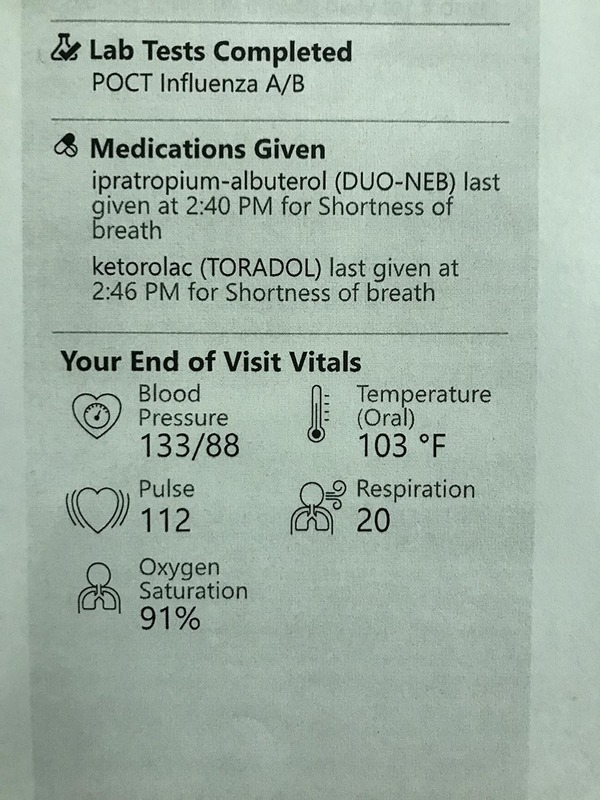 The Oxygen Saturation level was at 91, and had come up a point from 90, which is extremely dangerous. As I was writing this update and had gotten to this point, Emery texted me and said his condition has worsened again... and he is going back in. 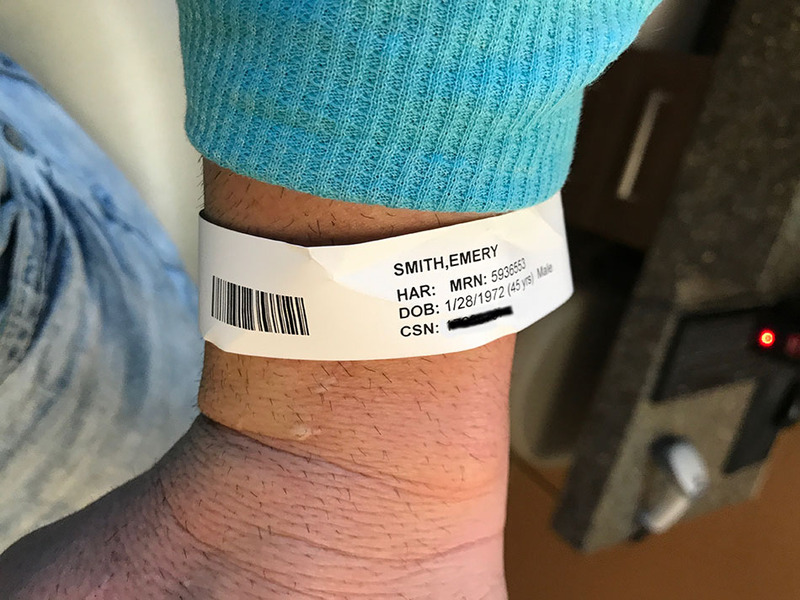 Even if you "don't believe in this sort of thing," please send Emery your thoughts and prayers for a full and fast recovery. The best way to do this is to clear your mind, go into a relaxed and meditative state, and send him feelings of love and peace. If you so choose, you can visualize him surrounded with white, healing light. I feel it is very important that we do this. 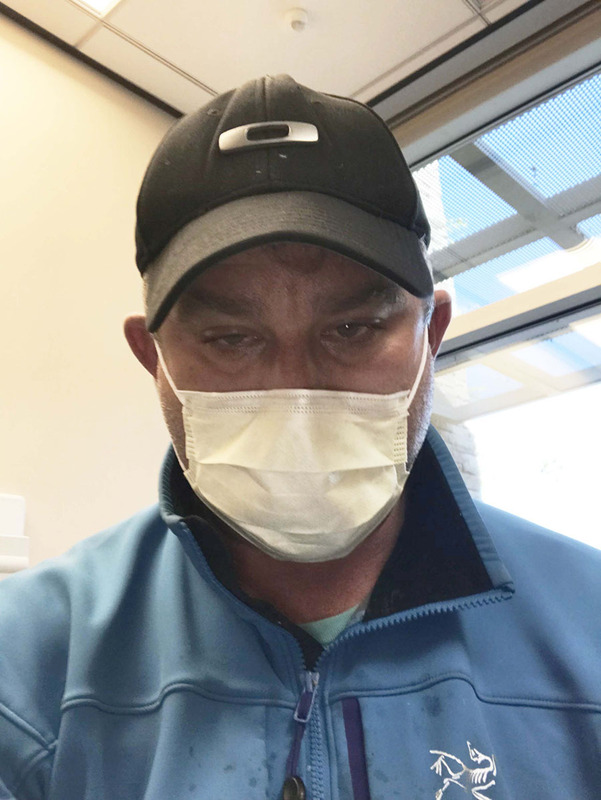 He might not be suffering from a normal flu. There could be something at work here that is harder to fight than normal. I would only call for this in a genuine emergency, and this is it. The only other thing I have to give you his "signature" at this point, since all of this is so new, is a brief clip from our first episode. I am documenting what is happening to Emery because this is an incredibly brazen attack by the Deep State. Let's bear in mind that we have eyewitnesses to three black SUVs pulling up and grabbing his dog as it was walking around on its own, 50 yards away. 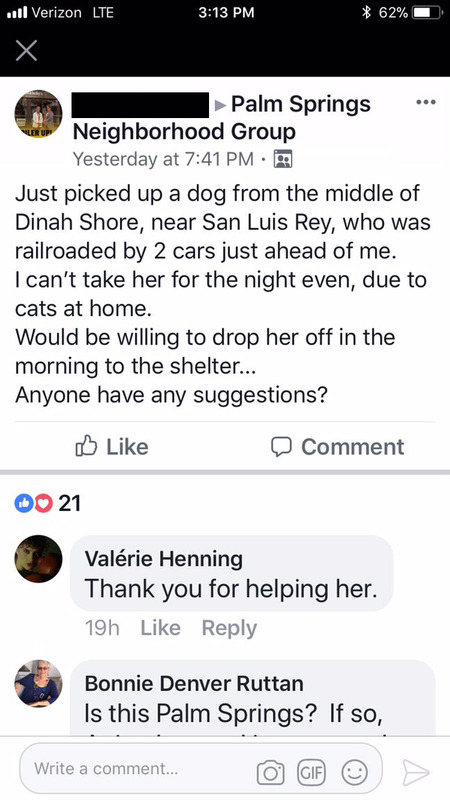 We also have proof that the dog Raven was found by a concerned citizen, which was miraculous in and of itself, and Emery was able to get her back. Normally the Deep State would simply roll out a whole mess of "troll videos" trying to discredit Emery and make him look bad, for whatever reason. By attacking him so forcefully and frontally, they are indeed making it very obvious that they are "on the ropes" and feeling threatened by this. All it does is show us how very real all of this is. If Emery was "larping," i.e. making it all up, I highly doubt any of this would have happened. Additionally, Paypal locked up his account after only allowing a very small amount into his bank, citing a "fraud investigation." Furthermore, they are giving themselves three days -- 72 hours -- to complete the investigation, even after seeing my website. So please, Paypal staff, bear in mind that we have a large audience and we really do want to help Emery Smith. There is no fraud going on here. I feel confident that with your help, Emery is going to make it. We already have taped enough from him that a Cabal hit would only make him even more of a hero. No one is stopping those 15 episodes from getting out. We are taking multiple precautions to ensure his future safety. The power of our mass consciousness to affect his healing process cannot be undermined. So again, please send Emery your thoughts, prayers and good wishes, and if you feel inclined to donate, now would be the time. Our next update will go much more into Corey's latest experiences with various ET groups, but it was important that we get this out first. By the way, Corey's Sphere Being Alliance website has been very severely hacked. That is obviously not an accident. Additionally, just since I said I was about to do more YouTube videos, the entire service has been overwhelmed with tons of new, fake David Wilcock videos. Clearly, "they" are doing everything they can to try to distract, divert and destroy our efforts. With that being said, don't lose track of the massive work we just released on Christmas Day about mass indictments and targeted arrests of the Deep State. For me, that was another 'sign' that this really needed a full article all its own... well before I knew he would be going in again. I do find it very upsetting that this is happening. This was not at all easy to write. That does not mean we are backing down. I know that by pulling together as a team, we can surround Emery with protection and ensure his survival. Thank you for helping. We do appreciate it. Your voice is beautiful, and it made me get completely wrapped up in the story. You are helping so many people. Thank you.